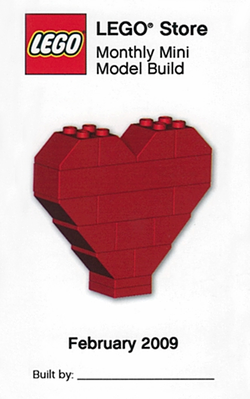 MMMB003 Heart is a Monthly Mini Model Build creation released in 2009. It was given free to those who attended the Monthly Mini Model Build at the LEGO Store on the first Tuesday of February 2009. This page was last edited on 9 January 2016, at 20:56.